The new Histria Aromatica complex in the vicinity of Bale in Istria is something special. 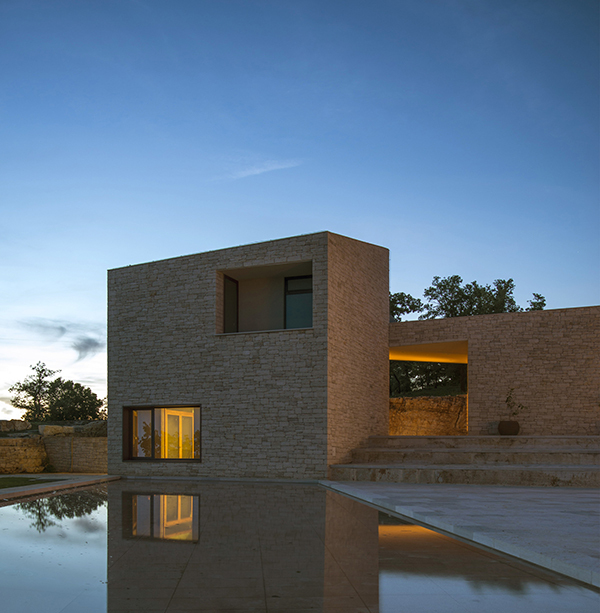 On a hilltop once overgrown with Mediterranean shrubbery, an architectural story with a stunning view has come into being, presenting a visual image that draws upon the traditional Istrian heritage. The architectural bureau Mikelić Vreš Arhitekti from Zagreb received a commission from an investor – a former chemist and his company dealing with the cultivation of aromatic plants and the production of natural medicinal and cosmetic products – to design a complex, an estate in the untouched natural environment of central Istria. They approached the task with great respect towards the space and above all towards the traditional architecture in the vicinity. Design Firm: Mikelić Vreš arhitekti d.o.o.